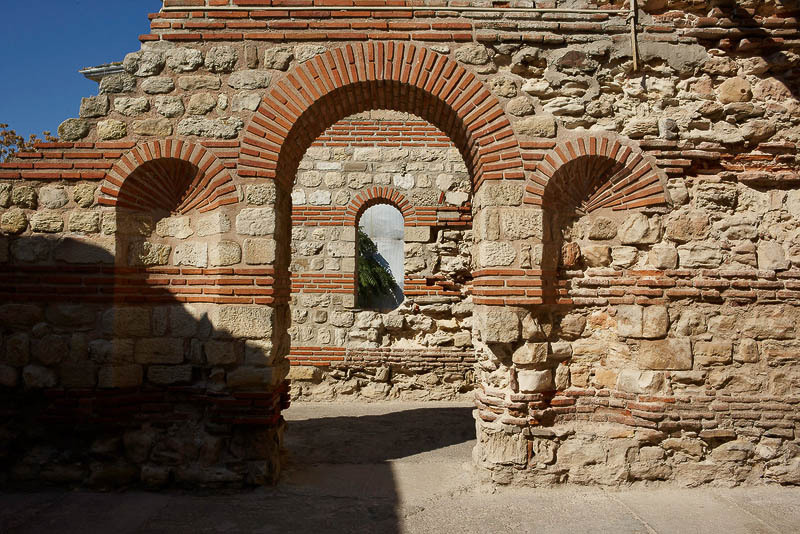 Interior with beautiful arch of ancient Byzantine church in old Nessebar, Bulgaria. Typical architecture of antique Byzantine Christian temple. World and historical heritage. Tourist destination and sight of Bulgaria. Old Nessebar landmark.